Step off the beaten path and head to Action Park and Hippupuoti Gift Shop. You'll find plenty of places to visit near Saariselka: Taatsin seita (in Kittila) and Inari (Saint Tryphon Pechenga Orthodox Church, Siida, & more). 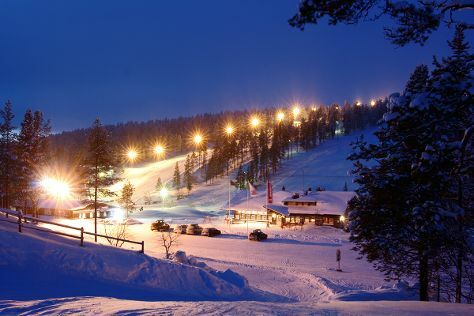 On the 22nd (Sat), spend an exhilarating day on the slopes at Saariselka Ski & Sport Resort. To see where to stay, reviews, more things to do, and other tourist information, go to the Saariselka vacation site . In December, daily temperatures in Saariselka can reach -7°C, while at night they dip to -17°C. On the 29th (Sat), you'll travel back home.